Many people teachers are discovering that MIDI accompaniments are great tools for helping teach difficult concepts to students. They keep students engaged more and inspire them to practice more, leading to higher success and retention rates. During a recent workshop at Amro, Catherine Davis from Roland walked teachers through many teaching tips for using MIDI accompaniments. If you missed the workshop, here are videos from the event. Which MIDI accompaniments are available? Appears these may be discontinued soon. 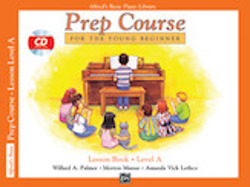 Audio Accompaniments for use in any CD player are available on CDs with selected books in the series. CD’s contain audio accompaniment for use in any CD player, also can copy the MIDI files using a computer for use with digital pianos. Audio Access is a special code (proof of purchase) allowing you to download the audio files to your computer and/or a flash drive. Looking for tips to get started with MIDI?